Know the route to your destination! Tell us the starting point and the destination and we'll tell you the best route to your destination. We'll optimize the route based on the way points you choose. Plan things along the route! Add stops along the route. Set dates/time and add notes. We will create an itinerary for you with all the details that you can email or open from the mobile app. Book hotels for your entire trip! Search hotels and book them from your favourite booking site. We’ll enter all the dates and locations from your itinerary so that you do not have to enter them again and again. Save the itinerary and share with your friends. Use the mobile app to access it during the trip. How to make a road trip plan? 1. Before using the mobile app, you need to use the website to plan and save a trip plan, preferably using a laptop or a computer. 2. 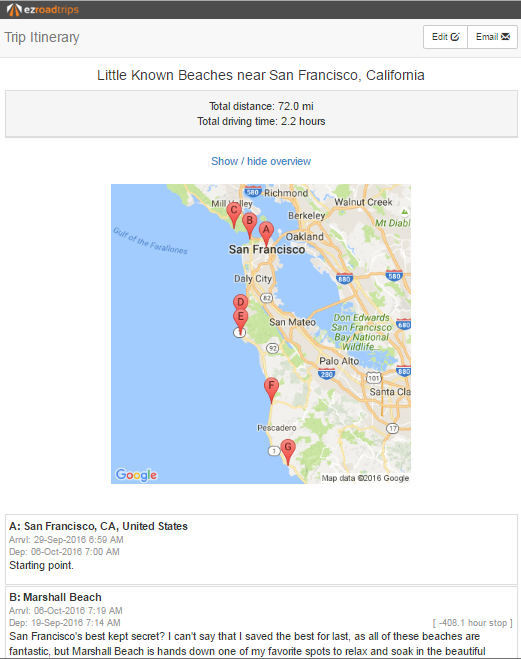 Prepare a road trip plan by mentioning your start and end point. 3. Add additional trip points in the map by searching them in the search box or by adding them directly on the map by cliking the icon. 4. Rearrange the trip points by dragging and dropping in the right panel to order them correctly. 5. Save the trip plan by entering the passcode sent to your email id. 6. Click on "itinerary" link to create an itinerary automatically. The same can be emailed. 7. Set starting date and number of nights at each location by clicking "Dates/time". You may also set arrival/departure time at each location. 8. Add notes for each location by clicking "Notes" and "Edit notes". 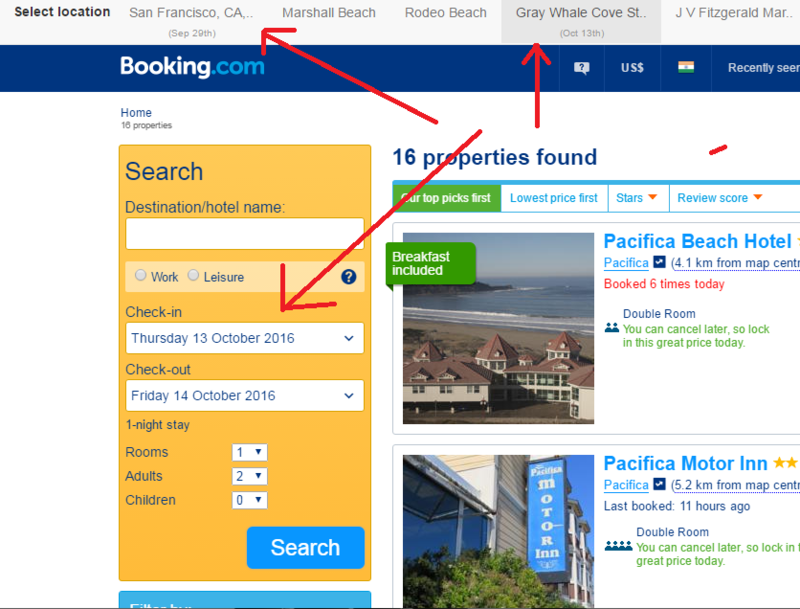 You may also add external links like hotel booking link or things-to-do webpage link in your notes for easy reference later. 9. 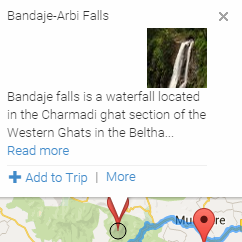 You can add notes against each day for a location when you stay there more than a night (by clicking on day-wise tabs in the 'Edit notes' page). 10. 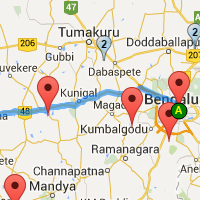 Click on "itinerary" link to regenerate the itinerary with updated details. 11. Click on "Book Hotels" link to search and book hotels for your plan from a single place. The planner will automatically populate travel dates, place details etc. in the hotel booking website. 12. Install the Android or iOS app, and access the itinerary during your travel by using the same email id (case sensitive) and passcode that you used for saving the plan.